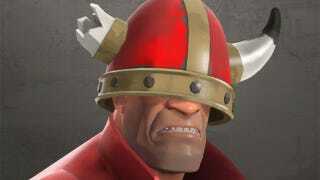 Team Fortress 2 is primarly a hat simulator with FPS elements, and not the other way round. If you ever wondered how frequently new cosmetic items—anything that has no effect on gameplay—were added to the game, we have just the source. 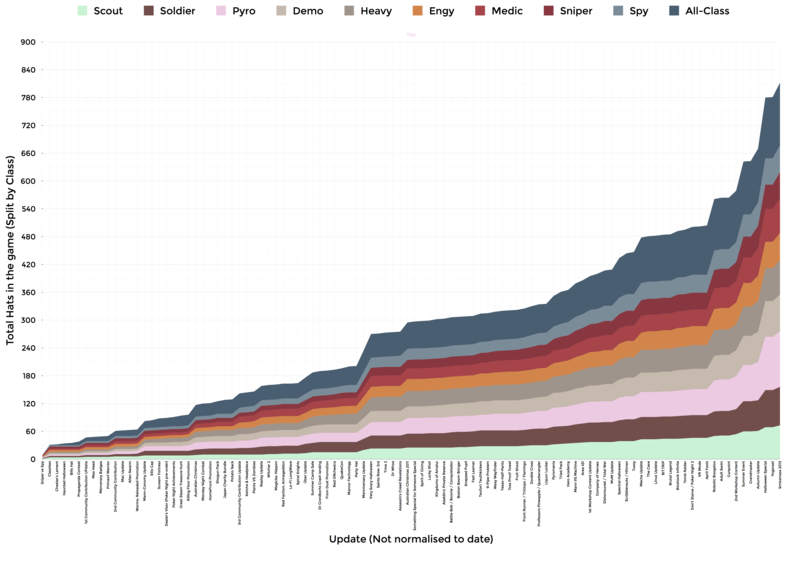 -Josh, a curious user on the game's subreddit, complied a detailed graph of all the hats (nearly 800) available in Team Fortress 2. Here's the chart. You can enlarge it by clicking on it, or find an even larger version here. It's not scaled by date, but 2013 started with promotional items added for The Cave, and you can clearly see that since then, the whole thing accelerated into an other level. Hat singularity is upon us!